Another week, and another Friday digest. And it’s been quite a week. I honestly try to be a good blogger. I try to make things about you, as readers, as much as I can, instead of indulging my own vanity. But these last few months with me building a business have just been tiring. So I set out with the best of intentions in these posts to generate value. But then, out of tiredness, and like some Grandmother with a wallet full of pictures of identical-looking, unremarkable grandchildren, I just start talking about whatever occurs to me. For me, what occurs to me is the last week of stuff. This particular week sees a study in contrasts. Since Monday morning, my life has been an undifferentiated blur of things relating to the blogging business. Corporate taxes, 14 hour days, spreadsheets. But before that, I had a now-distant weekend that was awesome, reminding me why location-independent business building is worth it. 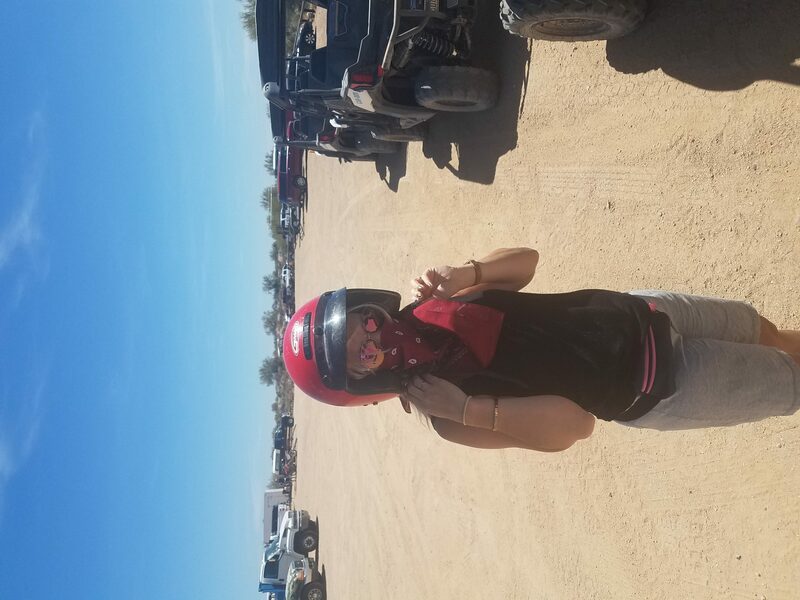 It was recently my birthday and, to celebrate, my wife booked me a weekend of adventure that included ATVs, desert lake sightseeing, Brazilian steakhouses, a winery, and midnight gellato in Scottsdale. 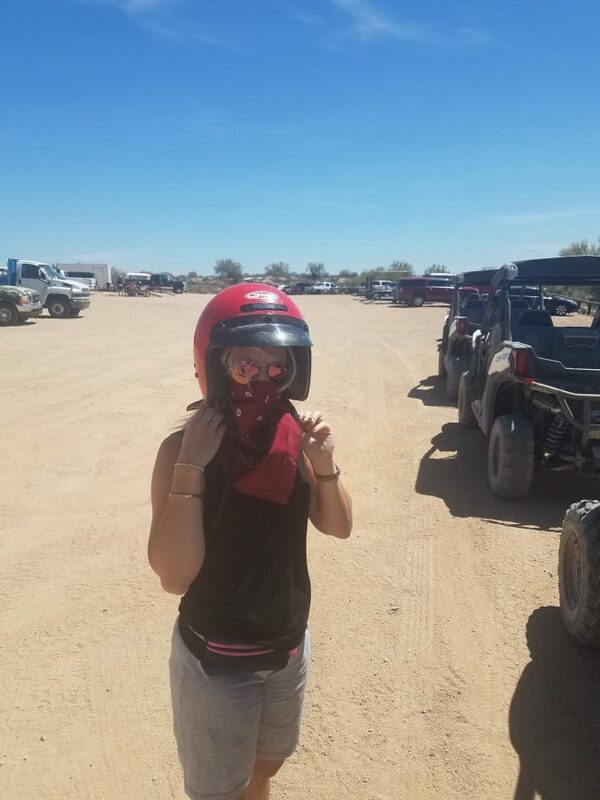 Here’s a picture of her, looking like a bandit in the desert, to serve as an avatar of the difference between my weekends and weekdays lately. So far, so good with our new location-independent mail service, Postscan Mail. If you’ve ever thought to yourself, “I wish I could forward my mail to a service that would receive it, scan it, and make it all digital,” give them a look. Speaking of my hatred for physical mail, I’m going to throw another nod to our bank for Hit Subscribe, Fifth Third Bank. While I don’t think for a second this is unique to them, they were pretty awesome about something I requested their help with. I told them that I wanted one of their branches to be our business’s “home” address for mailed checks and for them to just deposit anything that came in. They helped me set this up over the phone in five minutes, with no fuss at all. Oh, speaking of Hit Subscribe, I’m going to shoehorn this inappropriately into picks. WE’RE GROWING QUICKLY! And we need authors. If you think you might want to write blog posts as a side hustle, let us know! I wrote a post for the Gurock blog, opining about whether or not you can “unit test” your database. For SubMain, I wrote another CodeIt.Right Rules Explained post, talking about option compare, databinder, and overriding operators. And, for those of you who blog (or aspire to), here’s a post from the Hit Subscribe blog with writing tips for techies.